Amsterdam, Amsterdam, we are coming! 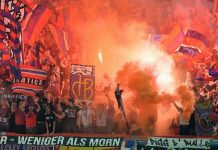 Home Matchday Match Previews Amsterdam, Amsterdam, we are coming! Just under a year ago, Chelsea won their first Champions League trophy with a heroic win over Bayern Munich at the Allianz Arena. A year on, and Chelsea find themselves in yet another European final. Unfortunately, this isn’t the final they would have liked to have found themselves in. However, we’re in it to win it. Chelsea came into the 2012/13 Champions League campaign as holding champions, and found themselves in a tough qualifying group – consisting of Juventus, Shakhtar Donetsk and Nordsjaelland. However, few people had predicted Chelsea not to proceed to the knock-out rounds of this prestigious tournament. 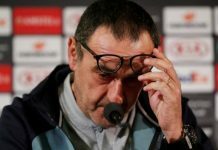 After losing a 2-0 lead against Juventus in a 2-2 draw, Chelsea responded with a 4-0 win over the arguably weakest in the group, Danish side FC Nordsjaelland. 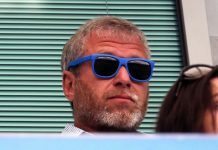 Chelsea lost the first game in Donetsk 2-1, but rebounded with a 3-2 victory. 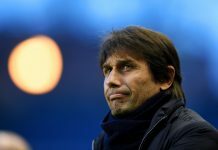 A horrendous 3-0 loss away to Juventus saw Roberto Di Matteo sacked, and put Chelsea’s Champions League dreams in serious question. 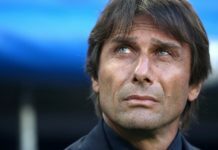 Chelsea, now under Rafa Benitez, responded with an impressive 6-1 home win against Nordsjaelland, but a Juventus win against the Ukranian’s left Chelsea finishing the group in a disappointing third place. 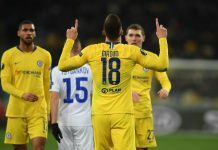 Chelsea made it through Sparta Prague, Steaua Bucharest and Rubin Kazan before the semi-finals against FC Basel, where the first game saw the teams’ level at 1-1 due to an arguable penalty decision given the Swiss outfit’s way. However, Chelsea responded with a stoppage time winner to secure the all important two away goals. 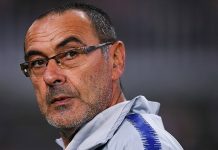 Not giving in, Chelsea earned a 3-1 win at home in London, to see the tie finish 5-2 on aggregate, and give them a place in the Europa League final. 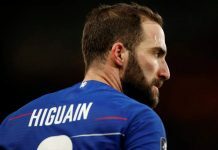 Benfica crashed out in the Champions League quarter-final last season to fellow Europa League finalists, Chelsea, after Raul Meireles banished any hope of a Portuguese comeback with a goal in stoppage time to secure a 3-1 victory on aggregate for the blues. Benfica were placed in a group alongside Barcelona, Celtic and Spartak Moscow, where they finished a disappointing third place. They drew their first game away to Celtic, and then lost 2-0 to the team from Catalonia. Another loss followed away to Moscow, but they got revenge as they won 2-0 at the Estadio da Luz. A 2-1 home win against Celtic put some hope into the Portuguese team’s European dreams, but a rather slow 0-0 draw away to Barcelona saw them slump into the Europa League. 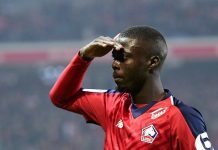 After beating Bayer Leverkusen, Bordeaux and an impressive win against Newcastle United, Benfica found themselves in the semi-final against Turk-side, Fenerbahce. An away loss in the first leg didn’t stop Benfica, as they won 3-1 at home, securing their spot in the Amsterdam final. Many think the trophy already has Chelsea’s name written on it, but Benfica will want this more than anything. “It’s a step for Benfica to reach their first European final for 23 years. The results we have got so far have taken us to the final. As always, we have a lot of respect for Chelsea, but we are very confident we can win it”, says Benfica’s coach, Jorge Jesus. 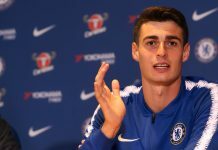 For Chelsea however, it is a chance to give a little bit of success to their fans, after a very disappointing season, seeing them win no trophies of the nine potential awards. It’s also something Rafa Benitez would be keen to place on his infamous CV. After injuries away to Aston Villa, Chelsea are unlikely to include captain John Terry, who famously missed the final last year, and Eden Hazard. Demba Ba is illegible to play in the Europa League as he featured for Newcastle United, so Fernando Torres will get the nod to start up top. Fernando has scored 8 goals in Europe this season, so I don’t think any Chelsea fans will be too disappointed with that. Benfica are one point behind Porto in the Primeira Liga, with 29 games played. 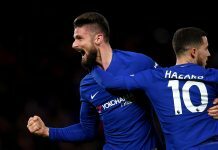 Chelsea will have to keep an eye on deadly forwards Lima and Oscar Cardozo, as between them they have scored an impressive 59 goals between them this season. Ex-Chelsea player Nemanja Matic joined Benfica as part of the David Luiz deal, and will prove to be a handful for Chelsea’s defence. It is a shame that a ridiculous decision by UEFA to only give each club an allocation of 9,800 in a 60,000 seat-stadium overhauls this tie. It has been said by the Chelsea supporters group that UEFA should expect 30,000 Chelsea fans in Holland, no matter if they have a ticket or not. All in all, Chelsea will be expected to win this one, but must be careful as the Portuguese are desperate to bring some silverware home for their fans. 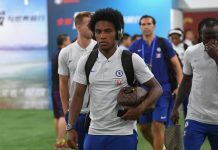 After securing a top four finish on Saturday, Chelsea should be running on adrenaline in this one, and I’m sure David Luiz and Ramires will want to put in a good performance against their old club.